Jimmy Boland is a man unjustly accused of a brutal crime. Within the prison he must fight for survival, freedom and justice. Terrorists take over a nuclear weapons launch site, but don't count on a humble military courier, who happens to be making a visit. A man is forced to take on the greatest legends of the martial arts world. He fights off all attacks while defending a beautiful rock superstar against the crazed attacks of a deranged fan. Written by Concorde - New Horizons (with permission). I watched this film for 45 minutes and counted 9 mullets. That's a mullet every 5 minutes. Seriously though, this film is living proof that formula works. If it ain't broke, it don't need fixin. 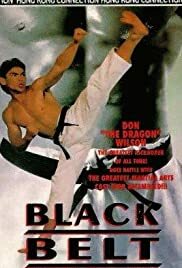 A streetwise-yet-vulnerable heroine, a hardened ex-cop martial arts master with a heart of gold and a serial killer with 'issues'. Pure magic.